Precision Fit Endura Waterproof seat covers by Covercraft are crafted and sewn from the highest quality nylon polyester, material. Easy to clean Precision Fit Endura Waterproof Seat Covers protect your seats from work, pets, kids and daily use. A heavy duty seat cover that is waterproof, stylish and fits like a glove. Covercraft Endura Seat Covers are waterproof and will protect your seats from daily abuse and damage caused by dirt, spills, food, pets, kids, and the sun. Custom tailored for a perfect fit, all armrest and headrest covers are included. 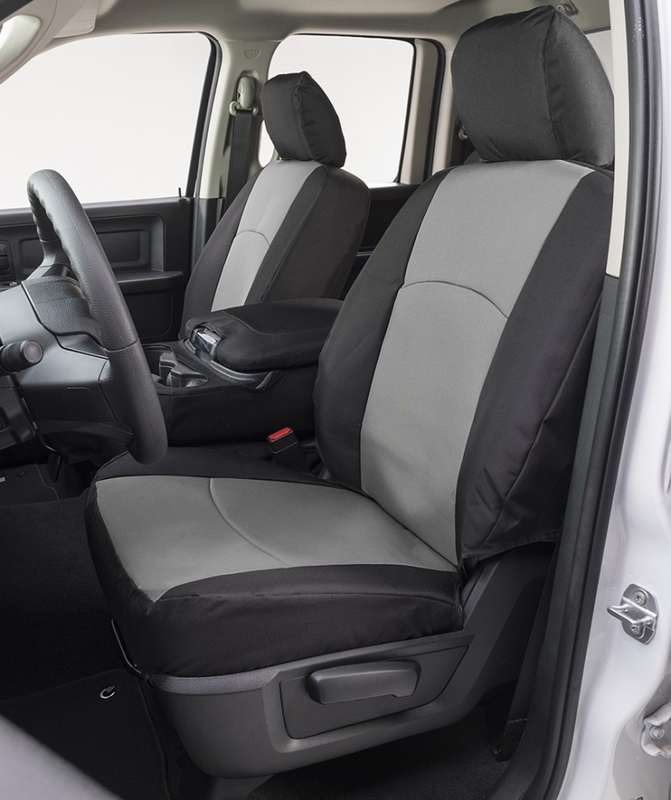 Each cover is backed with a soft and supportive cushion of foam including the seat bottom, back, headrest, arm-rests, and bolsters to maximize your comfort while driving. Covercraft Endura Seat Covers are crafted and sewn from the highest quality, waterproof material, nylon/polyester fabric that ensures your seats will always be protected. A perfect protecting cover for children, pets, construction, fleet vehicles, construction trucks, and trade where wear and tear greatly diminished your resale value. Covercraft Endura Seat Covers have the feel and look of finely woven canvas, commonly used on soft-sided luggage, sturdy computer cases, and on boats. Comfortable in cold and hot climates because it maintains an even temperature. Available in a wide variety of colored inserts and matching/contrasting seat sides and bolster that provide extra protection in those areas where stains and spills are more likely to occur. Installation is easy and they will fit snug like a second skin. Each cover is handcrafted by Covercraft for a Endura precision fit, Made in the USA.